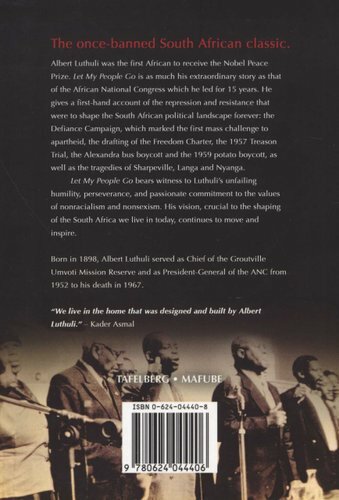 Albert Luthuli was the first African to receive the Nobel Peace Prize. 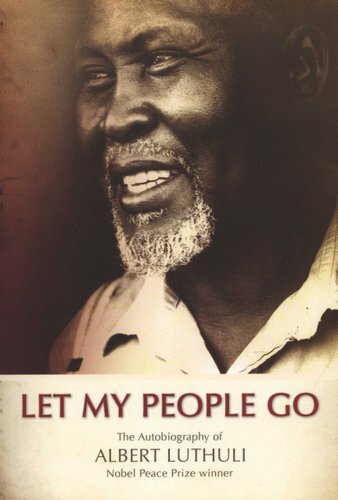 Let My People Go is as much his extraordinary story as that of the African National Congress which he led for 15 years. He gives a first-hand account of the repression and resistance that were to shape the South African political landscape forever: the Defiance Campaign, which marked the first mass challenge to apartheid, the drafting of the Freedom Charter, the 1957 Treason Trial, the Alexandra bus boycott and the 1959 potato boycott, as well as the tragedies of Sharpeville, Langa and Nyanga. Let My People Go bears witness to Luthuli's unfailing humility, perseverance, and passionate commitment to the values of non-racialism and non-sexism. His vision, crucial to the shaping of the South Africa we live in today, continues to move and inspire.